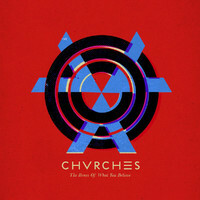 Buoyed by a BBC Sound of 2013 nomination back in January, Glaswegian synth-pop trio Chvrches have spent the year selling out venues across the world. We caught up with band member Martin Doherty to find out more about the journey so far, and the inspirations behind debut album The Bones Of What You Believe. Can you tell us how Chvrches came to be please, Martin? I had known Ian from about 10 years ago, when he was in Aerogramme. He invited me in as a rookie to record and engineer on their last album, and I’d ended up touring with them too because they needed some to play keys and stuff. When that band split up, we both went our own ways, and we talked about doing something together but never got round to it. Then I met Lauren, we all got in the studio one day at the end of 2011, and it all went really well. So here we are! Presumably you all bonded over a shared musical vision? In terms of reference points, there are lots of artists that we come together on – 80s stuff like Whitney Houston, Cyndi Lauper, Michael Jackson – and I think that some of that definitely comes through on the album. But it’s interesting because there was no real roadmap for this band in the beginning; we didn’t know exactly where we were going at all. Our first sessions were really about experimenting but, once we started working with Lauren, we nailed something that we were excited about really quickly; the songs just started coming out. We wrote the album really fast and then spent the next few months recording it. Unlike a lot of electronic bands, we’re not afraid to express melody. So you started work on the album pretty early on? Yeah, we’d recorded a lot of material ourselves, long before any of our songs even appeared on the internet. So we just continued on that path when things started to pick up for us, recording the album over that year. It was a lengthy process but it was one that went at a nice pace; there was never any pressure. As I said before, it was an exploratory process in the very beginning but we soon knew where we were going, because we settled on a style that excited us really quickly. We knew we were going to carry on with the electronic thing, using nostalgic keyboard sounds, but trying to make the songs sound as modern as possible at the same time. Those kind of conversations really informed the way the album recording went. The Bones Of What You Believe is predominantly electronic-pop but on tracks like ‘You Caught The Light’, there’s almost a post-rock feel. Do you think that people are going to be surprised by the album? It might surprise people initially but it’s no surprise to us, of course, because these are parts of the band that have always been there, even from the earliest recording sessions. But then I guess that’s because of the way that bands come to people’s attentions these days. In the beginning you only have one song to make a decision on a band, instead of being able to digest an entire record and really get an understanding of what a band is about. Where do you feel you fit in the musical landscape? It’s hard to say. We’ve always just done own thing, but a lot of our contemporaries are making electronic music that really interests us. I mean, we’ve remixed bands like Ms Mr, Ultraísta and St. Lucia, and I suppose they’re all electronic acts that broke through online around the same time as us. But while we certainly feel an affinity with those bands, we tend to not worry too much about what’s going on around us, and just focus on what we’re doing. As your first full musical statement to the world, what do you think your debut says about you? I think it says a lot! Certainly that we’re not afraid to express melody, unlike a lot of electronic bands who tend to naturally shy away from that. What I hope is that people will be able to listen to it and realise that songwriting was at the forefront of our minds the whole time we were making the record. It actually comes from a lyric from one of the songs that was in contention for the album. I like it because it has more than one potential meaning. It can either be about getting down to the brass tacks of what we’re about or it can be about change and leaving things behind. Hopefully people will find their own meaning in it too. And it ties into the lyrical themes on the album? Yeah it does, as all good album titles should. We really believe in the album as a format; from the way you title it to the way that you sequence it. Every element was considered. The fact you value the album format is interesting, particularly in light of last week’s Mercury Prize announcement. Do you have any favourites on the shortlist? I think the Disclosure record definitely deserved a nomination, because I’m really impressed by the age of those kids. Plus, I think this whole rediscovery of house music that’s going on is cool. But if I had to pick an album that I’d like to see win, I’d choose Jon Hopkins. It’s an absolutely stellar record and the guy’s a genius. Obviously your album wasn’t eligible this year, but you did pick up a BBC Sound of 2013 nomination. What did that mean to you? It was amazing; a massive springboard for us. It brought us to a lot of people’s attention, so we’ll always be thankful for that. I know, it’s been amazing. We’re in Columbus, Ohio, at the moment, on our US tour, and the shows have just been insane. They’re all selling out and we’re playing bigger rooms than we’ve ever played before. We’re having an awesome time. What has been the highlight of 2013 so far for you? I think the Japanese trip. We played the Summersonic Festival and the crowds were really big, and really positive. I don’t think any of us thought we’d be able to travel that far away from home and play music, let alone play music to a lot of people. 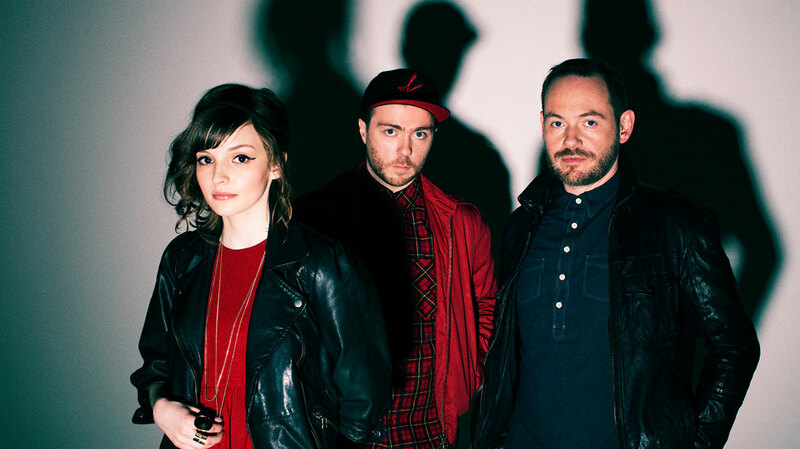 Finally, what’s the ultimate goal for Chvrches? I’d just be happy if we could reach as many people as possible and write another record. We’d like to make the second album as soon as possible really, because Chvrches has always been a studio project first and foremost. That’s where we’re happiest.